Daytime Emmy Poll Results: Slezak, Geary & Woods and GH Voted Who YOU Want to See Win The Emmy! The results are in from our Daytime Emmy polls where we asked you, our soapers, to tell us who you would like to see win the most in the Outstanding Lead Actor, Lead Actress, and Outstanding Drama Series categories on tonight’s 39th Annual Daytime Emmy Telecast on HLN! In the Lead Actor category there was a tie! You chose General Hospital’s Anthony Geary and One Life to Live’s Robert S. Woods, and in second place was GH’s Maurice Benard! In the Lead Actress category voters went with One Life to Live’s Erika Slezak who had 37.55% of the votes and in second place was Crystal Chappell for her performance as Carly Manning on Days of our Lives with 29.37 of the votes. Looks like the fans are favoring the talented performers from One Life, and also looking for a record seventh Emmy to land in the hands of Geary and Slezak! And finally in the Outstanding Drama Series category, the fans voted for General Hospital with 49% of the vote with Days of our Lives with 21.64% in second place, and All My Children in third place with close to 16% of the vote. Let’s see if your picks match the academy’s picks tonight starting on the Emmy telecast at 8PMEST/5PMPST! And what do you think of On-Air On-Soaps site users choices? Let us know! Wow I didnt even know there was a poll, but if I had my vote would have gone for Crystal Chappell! If GH is so popular, why are the ratings so low?? What a joke! They really should have been the best daytime drama???? really??????? it is sad that one life to live was not even nominated….. says allot about the people that voted. I agree with you 100 %………………………………………..They over looked OLTL once more !!!!!!!!!!! I think that REALLY STINKS something AWFUL!!!!!!! OLTL should have gotten some awards… OLTL will alway’s be to me MY OUTSTANDING DRAMA !!!!!!!!!!!!!!!!!!!!!!!!!!!!!!!!!!!!!!!!!!!!!!!!!!!!!!!!!!!!!!!!!!!!! OF ALL TIME..
Oh come on debi, baby steps. However, we only have two and a half months left, and a lot of people go on vacation, we have to kill that good afternoon america like we killed the revolution. That 2 o’clock spot has to go to general hospital. what do you mean we only have 2 1/2 months left?? In my world, when abc cuts GH, it will be picked up by another network if we can get the ratings up. Have you been to my new blog yet? Slazak, and Woodsie all the way!! And of course, it ends up going to Heather Tom…..Really? What a joke!! I was SHOCKED Erica didn’t get it. When they called her up with Susan Lucci you could feel the lack of emotion from her as well. am i the only one somewhat concerned that the Revolution is being replaced with a new show “Good Afternoon America”? I was under the impression that when the Revolution finally went away, a spot would be guaranteed for General Hosptal since Katy Couric will be taking their timeslot. And since ABC seems to be content with the lackluster ratings of the Chew, I would guess that’s not going anywhere. What do you think, Michael? No, your not the only one, I am very concerned and we have to continue to boycott abc/disney, we need to do to good afternoon america as we did to that revolution show. ABC/DISNEY LIED TO US. I thought GH was taking the 2:00 spot…………………..
You really need to research the facts. GH will be moving to a 2:00 pm time slot in September. The promos have already started airing on the east coast. according to their advertising, Good Afternoon America is taking the 2:00 spot in July. I have a sneaky feeling that if the reviews are good, you can say bye-bye to GH. Are the promos for GH at 2 brought to you by ABC????? The promos are saying that starting july 9th, Good afternoon america will be taking the 2 o’clock spot, if it works out and the rating are good and general hospital goes down connie is right bye-bye general hospital. Well I am very disappointed in the Daytime Emmy Award Show….I have seen better ones in the past…..OLTL is constantly over looked….I only saw Matthew & Starr at the award show…No one else from OLTL…Saw a little over an hour of the emmy’s & I recorded the rest of it…What I saw was no big deal….Erika Slezsak & Robert Woods didn’t win…. I am extemely pissed-off……………The music played each time the show came back from a commerical & after the person received their award & was leaving the stage . That goofy music came on…Not happy at all with the daytime emmy award show !!!!!!!!!!!!!!!!!!!!!!!!!!!!!!!!! I will watch the rest of the show tommorrow which I recorded.. Thank GOD, I am not the only one who was turned off by that awful music. Why is OLTL discarded like garbage from this daytime emmy award show????? OLTL just can not get a break……………………………This was their last hurray….And treated like crap again…OLTL will alway’s be #1 in my book.. A lot of talent on this soap and was OVER LOOKED AGAIN!!!!!!!!!!!!!!!!!!!!!!!!!!!!!!!!!!!!!!!!!!!!!!!!!!!!!!! I am soooooooo angry & upset over the daytime emmy award show… In the past the daytime emmy’s were exciting & entertaining…This daytime emmy award show was a STINKER!!!!!! 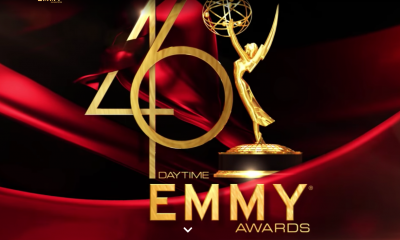 I could go on & 0n…………………………………..Soap fans what are your opinions on the daytime emmy’s ????? I rate it from a scale from 1- 10..I give it a 4……………. It was boring and Once again One life to live was upstaged by ERICKA KANE, I give it a 2, The music was bad. Read all the rest of my posts on this subject because I feel the same as you susan m.
Erika Slezsak was up staged by Susan Lucci….. She is so full of herself….I will not Ms.Lucci’s show in March.. I could care less…I use to like her but , no more..Seeing how she HAMS IT UP !!!!!! On the emmy’s SAT… She has big ones………………………………….Erika Slezsak is a class act……., She is a team player…This is what Ms. Lucci lacks………….TERRIBLE & BORING SHOW..The music made me BARF !!!!!!!!!!!!! Susan thanks for updating me I just deleted it without watching it you want to know why OLTL did not get a nomination and AMC did not get the emmy because then they would have had to admit they cancelled the wrong shows they did not want egg on their face. And I like GH but I would have preferred AMC have got it I thought it was just as good I hated the Jake storyline always will!!! Worst Emmy’s Ever!!! And was that supposed to be a tribute to AMC & OLTL? What a freaking joke!!! Yeah, It was all Erricka Kane. Wasn’t the worse, But it sure was boring and long, I give HLN a break they only had 3 weeks to put it together, Wasn’t that music horrible? I do give 3 cheers for general hospital and Oscar the grouch, ANd his GARBAGE CAN. I don’t blame hln at all for anything. They aired the show. The show was all about promoting GH and dissing OLTL. Whoever set out to do that, succeeded. I was waiting for the tribute for AMC & OLTL….All they did is have Susan Lucci come up and say a little something with Erika Sleszak & Cameron Masterson,,,I was expetecting more then that…I thought they would show some favorite clips from AMC & OLTL……………………………………It was a terrible tribute….Not worthy of AMC & OLTL…………………….I liked seeing Erika Sleszak…But I wish they would have done something more than just talking about it…..That was VERY disappointing to say the least…………..I rate the daytime emmy at about a three in a half….Pretty CRAPPY !!!!!!!!!!!!!!!!!!!!!!!!!!!!!!!!!!!!!!! Ok I just watched a clip of the Susan Lucci thing! Sorry Susan you stepped on it this time the show was an ensemble act no one character makes a soap and well I am disappointed. I did read on a blog that ABC would not release the clips do not know if this is true. Sad. I meant Susan Lucci stepped on it not Susan M LOL!!!! Hey Charles, I agree with you about everything you said. But, Come on, I Don’t care about Anderson copper either, He represents those awful talk shows, but give Oscar a break, I enjoyed him and he is a daytime star, I thought the Garbage can was fitting, given all the GARBAGE emmys that were handed out. I like Cooper. Who I could have gone without seeing was Baba Walters. Yes it was VERY DISAPPOINTING……………And it was one of the worst daytime emmy award shows…I remember more better daytime emmy shows in the past….This one was a fluke………………………………STINKEROO!!!!!!!!! I was looking forward in seeing memorable clips from AMC & OLTL…..What a RIP- OFF show !!!!!!!!!!!!!!!!!!!!!!!!!!!!!!!!!!!!!!!!!!!!!!!!!!!!!!!!!!!! The beginning of the show the muppet character was so STUPID!!!!!!!!!!!!!!!!!!!!!!!!!!!!!!!!!!!!! The show was a ZERO in my book !!!!!!!!!!!!!!!!!!!!! Great night for GH, and I’m very happy about that. There were some things wrong with the show. The stupid music, the lack of clips, and the joke of a tribute to AMC and OLTL. But I’d rather have a show like this than no show at all, or the garbage we saw from Las Vegas the past two years. Those were the worst Emmys ever. Tonight was far from the worst. I agree with you about the stupid music….The tribute for AMC & OLTL yes it was a JOKE !!!!!!!!!!!!!! Past emmy shows were much BETTER… What happen with this one………………………………………Poorly put together……….Like it was just thrown together at the last minute…In my opinion………..
Dan, I agree with you. Yes, there were things on the show that definitly could have been better ( the three things you mentioned are at the top of my list too) but overall it wasn’t too bad for HLN’s first try at producing the awards show. It was good enough that I hope they will broadcast this show again next year. Somebody has to! Didn’t have HLN but after hearing how bad the award show was and the winners, I was GLAD I didn’t see the award show. AMC and OLTL went home empty handed was a UTTER & COMPLETE TRAVESTY there. GH winning everything UGHH! Was glad Y&R, B&B and DAYS won. DAYS winning Writing was a SHOCK but I was happy they won; an award they haven’t won since the 70s. That’s pure sadness there! If i knew about the poll, Totally Crystal Chappell should have win! I taped it and I will delete it, I won’t watch now that I have seen the results and read your comments, RHerbst was robbed again I guess she is too nice to get an emmy you have to have a potty mouth and be a political activist no way was Tom better then the other ladies and I am so over Geary! The Emmy’s just solidify my beliefs that the genre is dead. There is absolutely no respect for daytime dramas anymore. 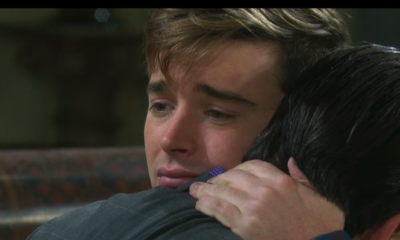 OLTL being overlooked for best show was just too much for words! When the nominations came out I could not believe they didn’t get the nod for bast show! I’m not sure of the show will be able to make nominations next year as I don’t know what the cut off date is but if they do garner a nom they will loose. Oh and HEATHER TOM!!!!! Really?????????? And someone please tell me what the heck did the alligator, porcupine, cockroaches and other animals have to do with with presentations that Debbie Gibson & Company were making? And why weren’t there more stars presenting awards? Plus it didn’t even seem like a lot of stars showed up for the event…..if they don’t show, then what’s the point of having the show in the first place? You can’t be a star, and complain about how the industry is overlooking you, then not even show up for the award ceremony…shows that you think as little of your industry as the people you are complaining about. This award show was a complete disaster to me. And I don’t understand why Cameron Mathison is one of the chosen mouthpieces for AMC. Towards the end of AMC, his character was totally unlikeable, to the point where a lot of fans couldn’t stomach seeing him or Rebecca Budig on camera…yet for some reason, he is always the one they put out front and center. And just so you know, HLN, that was not a tribute for either show!! I understand that maybe it would cost more money to run old clips for a video tribute for both shows….but it’s better to cough up the money and do it right, than to throw something together and have it turn out like that. I’m a big fan of Susan Lucci, but the speech that she made, where her main focus seem to be talking about ERICA KANE was kinda disturbing. I know she was a big part of the show, but there were so many people and stories that made AMC the show it was, and it seemed kind of narcissistic, the way she kept addressing ERICA KANE…. Plus I didn’t like the stupid video tribute with Agnes Nixon beforehand…..where she didn’t even mention OLTL! I have always had a problem with Agnes and how she seems to favor AMC over OLTL. Susan Lucci is a big star and her name is synonymous with AMC, but if we want to label someone the queen of daytime, why not mention your six-time Emmy winner, Erica Slezak? Just disappointed in Agnes that she didn’t even mention the show. Just another slap in the face for OLTL. I remember when ATWT was taken off, and how the following year when they had the Emmy’s, they cleaned house at the Emmy’s…and I’m not saying they didn’t deserve the awards, but why couldn’t OLTL at least get some more representation amongst their actors?! I don’t think there will be a show next year, and if there is a repeat of what was aired last night….don’t even bother. I think that HLN had to come up with last minute entertainment they only had 3 weeks to put it together, It is pretty bad that they had to get in touch with a alligator, I wonder who his agent was, It , the alligator should be living the life of riley in a pond or swamp in florida along with the other animals that didn’t belong on a leash, what those two people had to do with daytime I don’t know But they did not belong there. It was boring wasn’t it? I was very up set that only Ericka Kane was brought up and Victoria Lord Bucanann was not even mentioned, It was a very sad evening, oh yeah and if they do it next year, forget that awful music, That helped me want to see the evening go much faster then it did. I never will understand Agnus Nixon favoring All my children, Out of all the abc soaps One life to live and Ryans hope was always my favorite, I do like that general hospital took home a lot of Emmys, I hope abc/disney is paying attention And I hope they paid attention to Tony’s speech for best actor. I still say KUDOS for HLN for carrying the show. Without HLN, there would have been nothing. HLN is constanting on Sunday rerunning the show. Back to back. Yes they were good at it, during all their shows they would advertize the emmys where going to be on, They showed more ads then any of the other networks EVER did. Maybe next year if they carry them we can give them some advice on what to do and what not to do, and to be sure not to ask Ericka Kane to show up, or the alligator, throw in debby gibson and that frankle woman who did the reality show, What was she there for? Susan Lucci proved what a real diva she is. How many times can a woman mention her character’s name and praise all about herself? The audacity not to mention any of her fine co-stars that helped make her what she is/was. Personally, I didn’t think she was the best actor on the show, just there longer and because she catered to Agnes Nixon. They should have had David Canary out there instead of that Cameron Matheson guy. 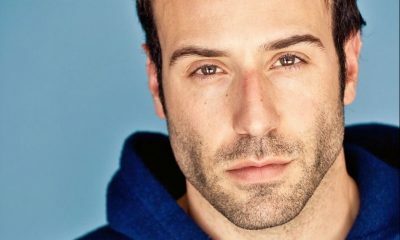 The guy that played Trevor, the women who played Janet and Natalie were more natural in front of the camera. I thought Susan’s acting of erica was just that…acting. But she showed her true self at the award show.